Products > Sectional Overhead Doors. 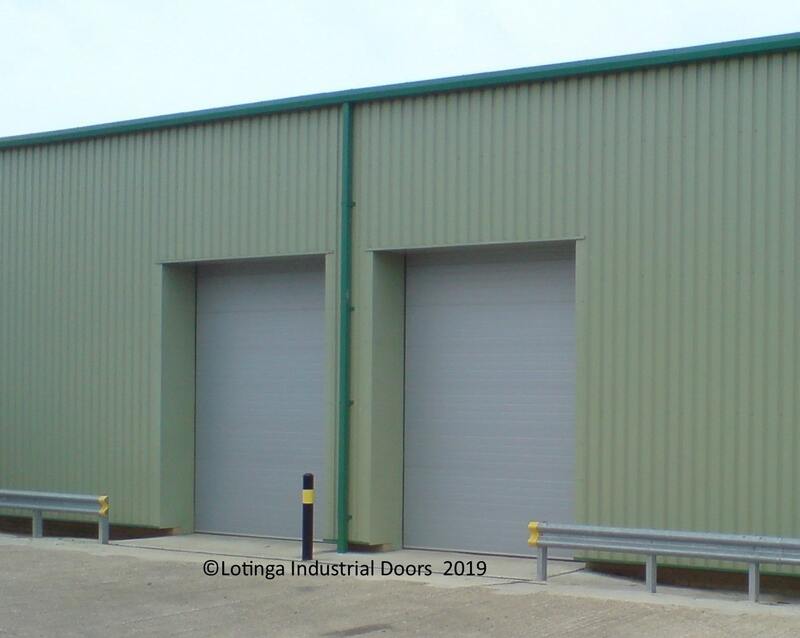 If you are looking for solid, attractive looking doors for your premises in Kent, London, Sussex or Surrey; then Sectional Overhead Doors could be the answer. 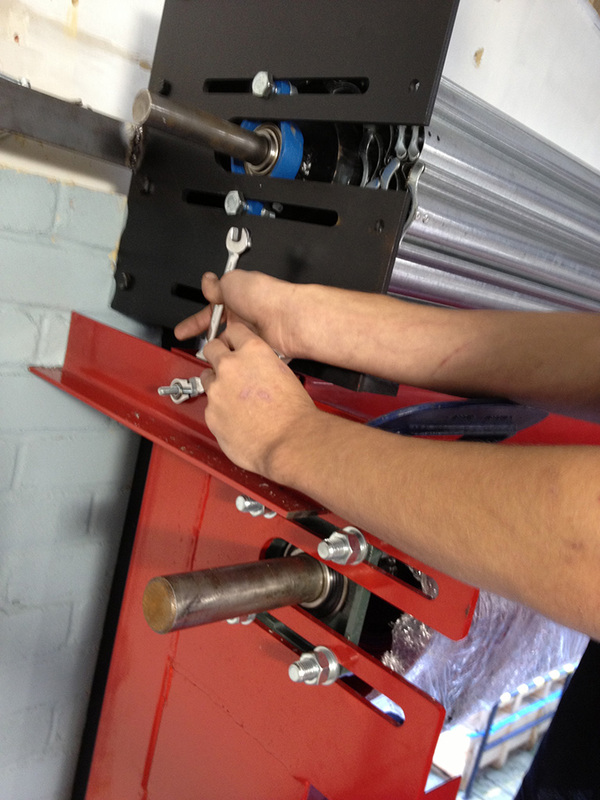 Operated either manually or electrically, they come with either insulated, non-insulated or vision panels. 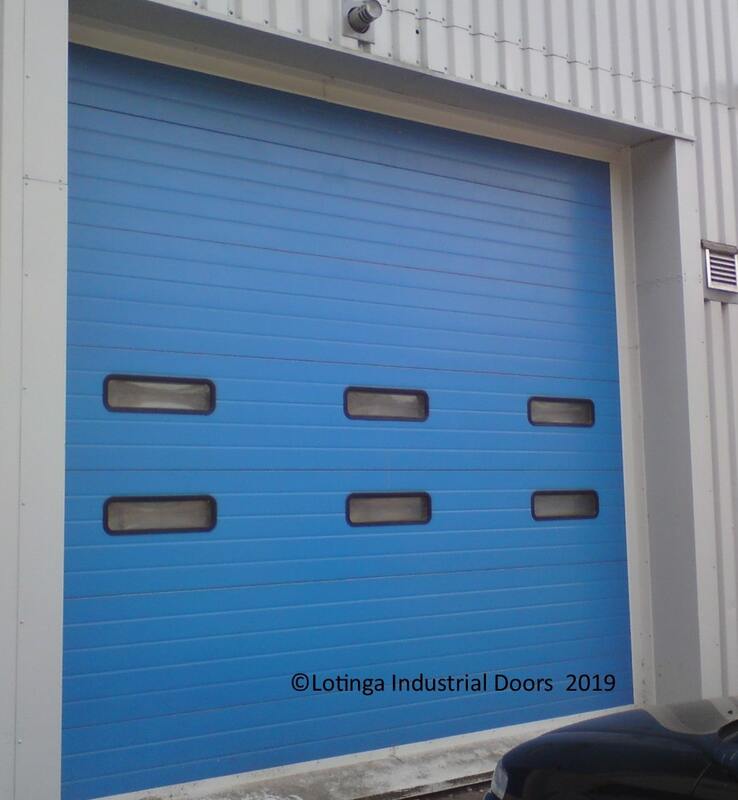 Sectional Overhead Doors run on adjustable galvanised roller carriers bolted to each panel; In addition, they are mounted on the top of the door on galvanised steel plates and bearings with helical springs; as a result this provides smooth and quiet operation. Vision Panel Doors are constructed from extruded aluminium sections, and can be supplied with either a mill finish or anodised. A more attractive finish such as powder coating is available. 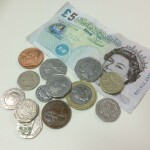 which is comes in a range of colours. Durable and attractive, rubber seals are fitted all around the perimetre of the door, creating a good seal when closed; with the intention of providing protection against the weather. Note! You will need a certain amount of ceiling space to accommodate these doors. Usually operated via a continuous haul chain. 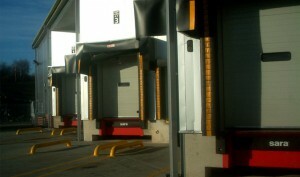 Manual operation on smaller sectional overhead doors can be by way of pushing up and pulling down. Run on a 3 phase or 240v motor with emergency override in the event of a power failure, all controls have open, close and emergency stop buttons as standard. Details of special electrical automation, such as remote controls can be found on our Accessories page; however, if you are unsure what you require, then call us for professional advice. 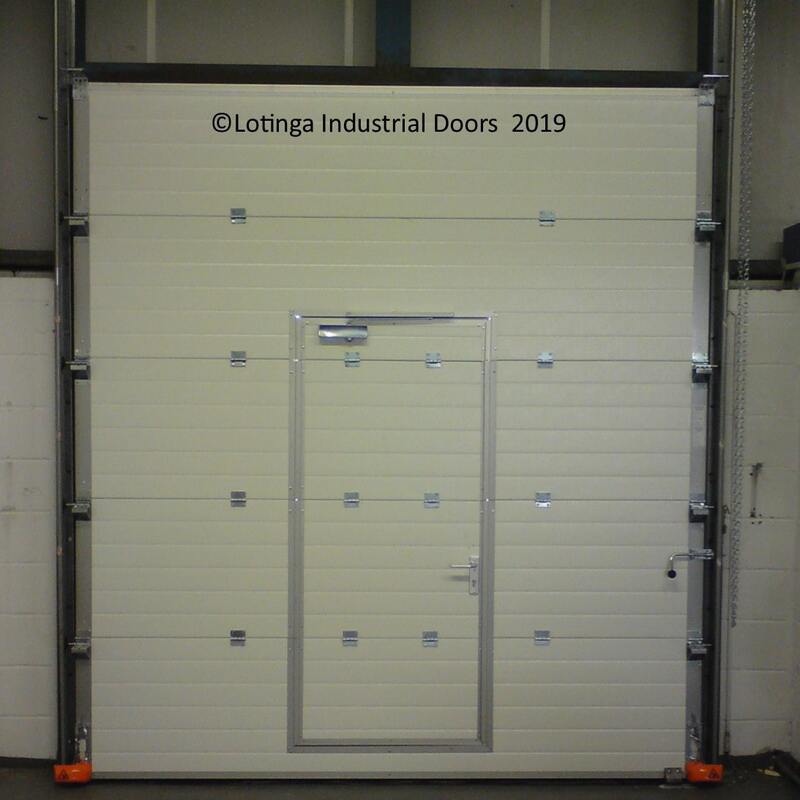 Your sectional overhead doors must have some form of Safety device installed, such as a safety brake; details of these can be found on our Safety Systems page or contact us for help. 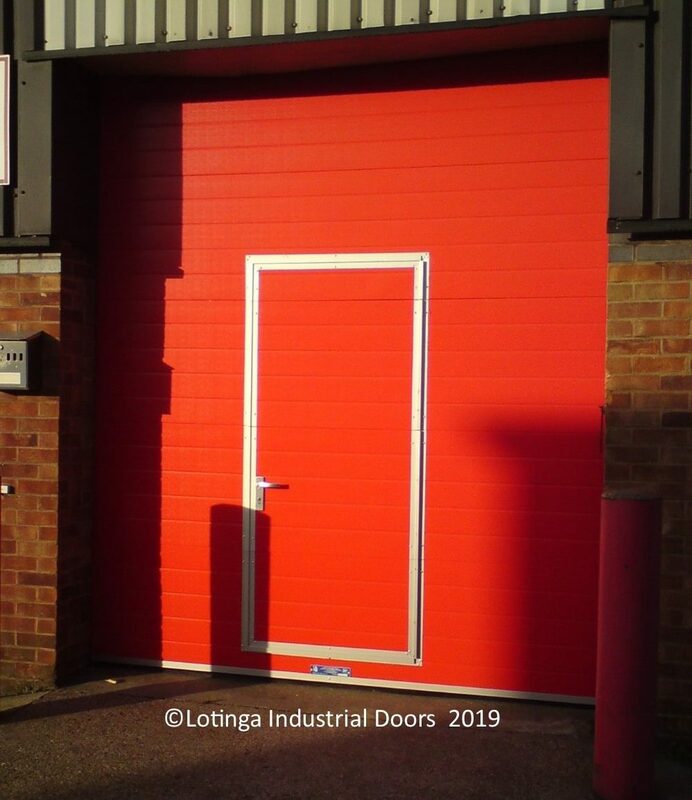 If you have no other entrance into your premises, instead of opening your sectional overhead door every time, a wicket gate may be your best solution. 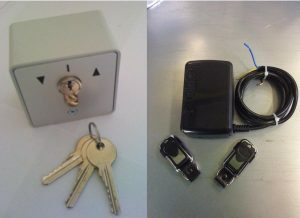 Click on our Wicket Gates page for details of integral pass doors or call us for advice. Non insulated panels - Constructed from galvanised steel sheets bonded together. 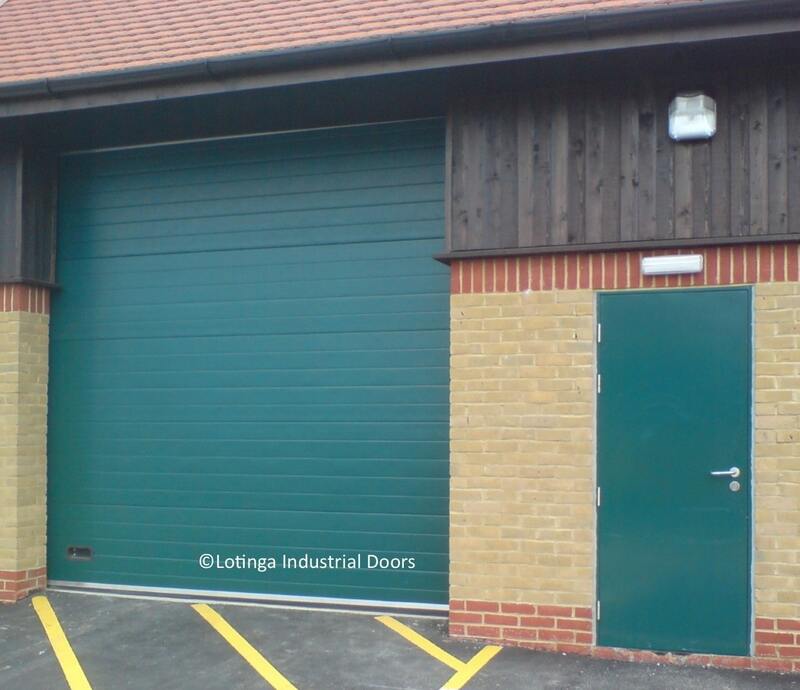 If you require your sectional garage doors to act as a barrier against the cold, you can opt for Insulated panels. Consisting of a high density CFC free polyurethane foam between steel sheets with a thermal break at each joint, as a result these doors are thermally efficient. The insulated doors are available in 40mm, 50mm and 80mm thick panels depending on the degree of insulation you require. These doors are machines and safety is of the utmost importance. See our Safety and Legal page for information on what maintenance the law states is your legal obligations. Attend to a fault as soon as possible! Avoiding a repair can lead to further damage, and a more costly repair as a consequence. Lotinga offer a Service Agreement Facility to help you keep your doors running reliably and safely, in addition it entitles you to discounts off servicing and repairs. Check out our Service and Discount Page below to learn more or contact us for a Service Quotation.